What if our students learn the most when they’re far from campus? 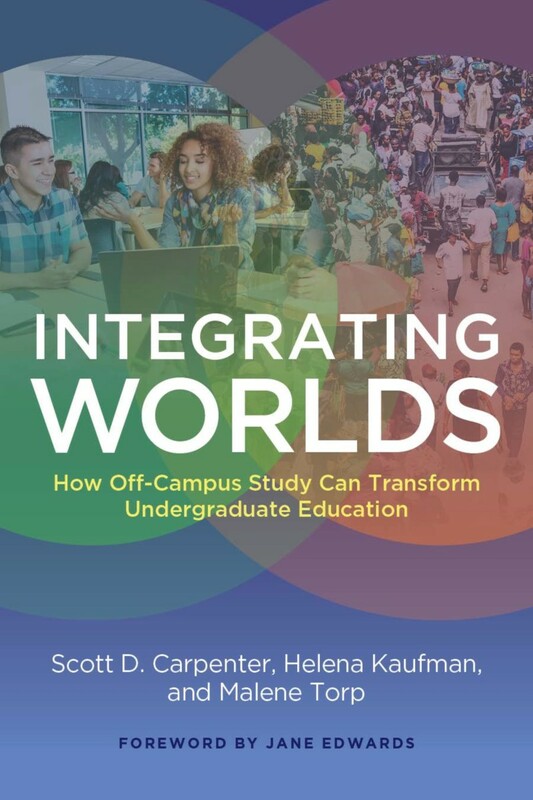 Integrating Worlds demonstrates how high-quality off-campus study epitomizes integrative learning, both supporting and enhancing the entire undergraduate experience. While off-campus study (both study abroad or study away) occupies a marginal position on most campuses, it has the almost unique capacity to bring together a high concentration of high-impact educational practices. When we combine global learning with collaborative work, shared intellectual pursuits, learning communities, and more, these practices reinforce each other, exerting a multiplier effect that can potentially result in the most intense learning experience our students will have. It can energize and inspire them for the work they will continue to undertake on their home campus. It thus becomes crucial for us to identify or design high-quality programs that will achieve these goals. Moreover, we need to reimagine off-campus study as an integrated portion of the undergraduate arc—one that begins well before our students depart and continues long after they return. In this way, we help them understand the interconnectedness not only of the world, but also of their own education. At the same time, the authors recognize material constraints and educational imperatives. Off-campus study costs money; its complexity makes it difficult to assess; it overlaps increasingly with internships and civic engagement; and by its nature, it is more subject to external forces than the on-campus experience. In careful, practical ways Integrating Worlds advances suggestions for dealing with these issues. This book urges educators to go beyond the episodic ways we currently link on-campus curricula to off-campus experience. While of interest to specialists in international or intercultural education, it speaks most directly to faculty, deans and provosts—many of whom may have little (or dated) experience of study abroad and who thus feel unprepared to address this issue of pressing importance. As our disciplines and institutions face the complexities of a rapidly changing world, this book seeks to fuel the necessary conversations. Helena Kaufman is originally from Poland. She is the Director of Off-Campus Studies and Lecturer in Latin American Studies at Carleton College. In addition to her studies in Poland, Portugal, and the U.S., she has broad experience teaching on the topics of national and cultural identity. In Off-Campus Studies she is involved in everything from curriculum planning to risk management for a vast array of off-campus study programs of nearly every flavor: term-length and short-term faculty-led programs, consortial and third-party provider programs, and more. She is a member of and a frequent contributor to NAFSA and the Forum on Education Abroad.